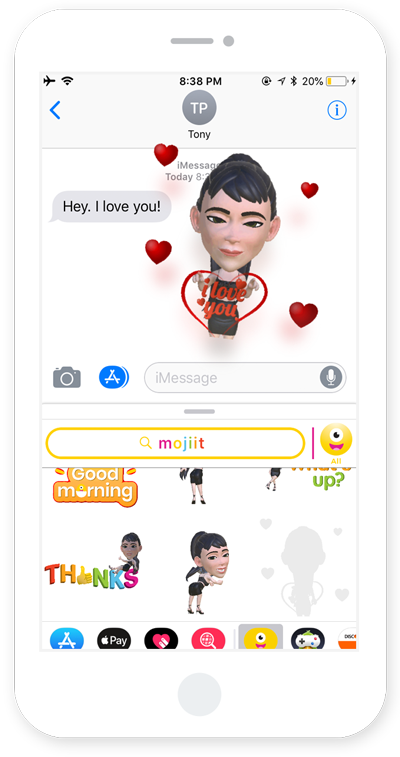 Your avatar takes a major leap forward with an all-new design and now works with iMessage in the form of a 3D, animated GIF. Mojichat brings your personalized emoji to life in 3D animated GIFs you can share with your friends. 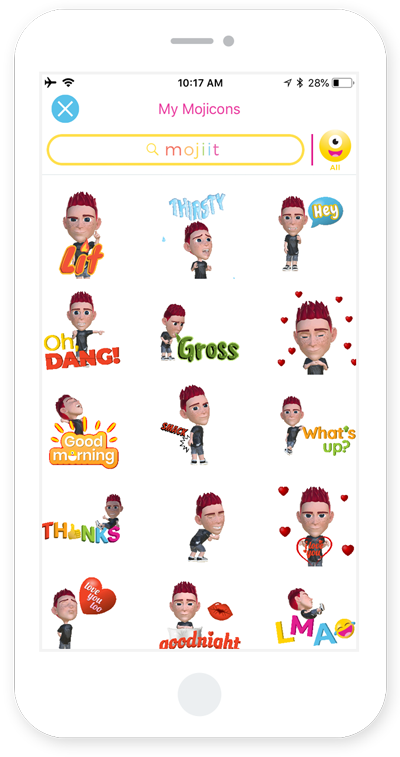 • Create your personal emoji (your "Moji") that looks just like you! Mojichat is the world's most expressive emoji. With Mojichat, you can choose from hundreds of facial features, hairstyles and outfits to make your avatar look totally unique. If you can't find a style that works for you, send us a selfie and our animation team will add it to the queue! Check the app regularly for new killer clothing options, trendy hairstyles and more. Access Mojicons right from your keyboard. Delight your friends by tapping or dragging Mojicons in your existing conversations. Keep the chat going and enjoy as the story unfolds. 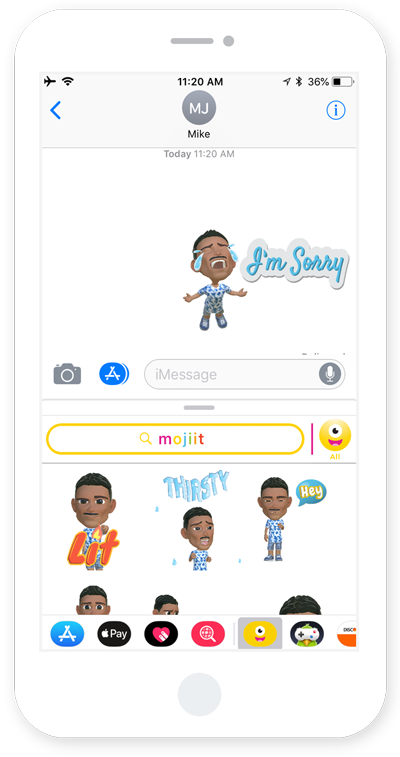 Add Mojichat to your iOS keyboard so you can send Mojicons in social apps like Facebook, Instagram, Twitter, Snapchat and more. Copyright © 2018 MOJIIT, INC. All rights reserved.